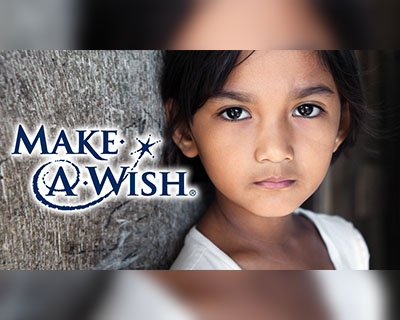 The Make-a-Wish foundation, America’s biggest and most famous wish charity had its humble origins from the fulfillment of a single wish. Chris, a seven-year-old who inspired the setting up of this foundation, was terminally ill with leukemia. After his wish to be policeman for a day was fulfilled, the team involved decided there were several others like him. Famous and noble as it is, the purpose is debated. The doctors who examined Christopher (Chris) James Greicius when he was born expected him to love only for an hour or so but he proved them wrong. They told his mother, Linda Pauling, to not get attached to Chris because he would not live long. She got attached to him as much as any mother gets attached to her child. 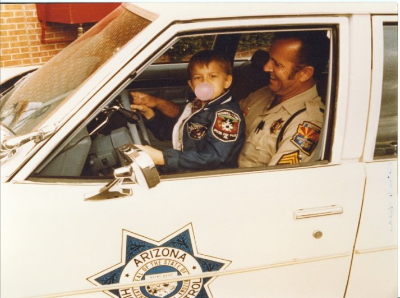 Chris’s early childhood passion was to be a police officer. Before he could turn five he was diagnosed with leukemia and his doctor said he would live only for about three years unless they found a cure. His mother’s friend’s husband Tommy Austin, a US Customs Officer, bonded with him during that period. Austin wanted to fulfill Chris’s dream of “becoming a police officer and chasing bad guys with him”. Confronted with bureaucratic hesitation at Customs he turned to Ron Cox, Arizona Department of Public Safety Officer. They initiated efforts, gathered a team of officers and went about making preparations. Austin was fuelled by Chris’s ecstatic response to the idea of riding in a police helicopter. On April 29, 1980, Chris became a police officer for a day. He rode in a police helicopter, wore the custom-made police uniform and a badge and was sworn in as the first honorary Public Safety patrolman. The long hours put in by those involved in making his dream come true were fruitful. Chris died on May 3 but his experience inspired the Chris Greicius Make-A-Wish Memorial, Inc. more commonly known as the Make-A-Wish Foundation. Why did it not stop with Chris? As the officers saw it, Chris’s death meant the fall of a fellow officer. Two officers from Arizona were in-charge of his police funeral. After they returned and described the experience to a few friends, the thought that there would be several children whose last moments could be made happier by such acts emerged. Pauling, Chris’ mother, told that instead of letting the kids just feel sorry for themselves, they could try to fulfill their dream “while they're still a part of this world". With a will to “find them”, and a humble start, the Make-a-Wish Foundation entered the world. By 1981, they were granted non-profit status and had $2000 to fulfill the first official wish. Frank ‘Bopsy’ Salazar, a seven-year-old suffering from terminal leukemia, was the second child to have his last wish granted. When he was asked what his biggest wish was, Bopsy first said he wanted to ride in a hot air balloon. Then he changed his mind to Disneyland. He finally settled on being a firefighter. In spite of being short on funds, Make-a-Wish fulfilled all three wishes of Bopsy. He got his balloon ride and his trip to Disneyland, which started a long-lasting relationship between Disney and Make-A-Wish. Bopsy met fireman Bob, who did more than was asked of him to help the sick boy. He gave Bopsy a badge and a jacket. He let him use the hose. He even took him in the truck. Bopsy defied odds for the next few months. 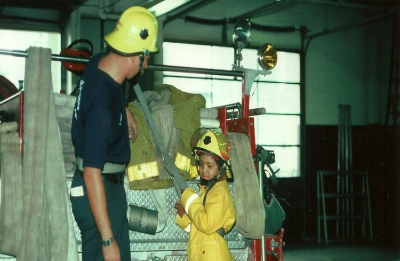 The most touching part of the story came a day before the little fireman’s death. Lying almost lifeless on the bed, Bopsy’s face brightened when he say fireman Bob at the window of his room. Bob climbed into the third-floor window followed by four other firefighters to give him a wave. When Bopsy said he wanted to join “his team”, he was wheeled downstairs, where he was met by the members of Fire Station 1 and their truck - renamed "B1" for "Bopsy 1”. When Bopsy asked Bob if he was a “real fireman”, Bob was truthful in his reply. "Well, yeah. Of course you are." Bopsy passed away the next morning. When do we see the impact of fulfilling end-of-life wishes? A 2015 study concluded that finding out and fulfilling the end-of-life wishes of terminally ill patients gives peace to them and their families. The study was conducted on 40 patients, at least one member of the family per patient, and three clinicians per patient. The study subsumed a project in which the researcher or a patient’s clinician carefully got patients or their family members to share three of the patient’s wishes and then figured out how to fulfill them. The researchers found that end-of-life care was highly valued by family members and 160 family members and clinicians interviewed after the death of the patient gave an extremely positive feedback. Where do we find some of the inspiring stories? Anwar and Malala. Seventeen-year-old Anwar did not let incurable lung cancer be an obstacle to his education. 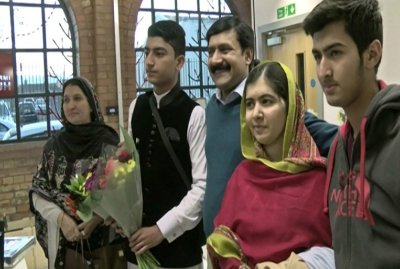 He wanted to meet his inspiration Malala Yousafzai because she had championed a cause that mattered a lot to him: the right to education.Make-a-wish enabled his wish to come true. Anwar was delighted to have his strongest wish fulfilled. He passed away recently. The seaman’s last wish. In November 2006, Mario Stefanutto, a terminally ill patient was being readied to go to another hospital, when news came that there would be some delay. The ambulance driver asked him if he would like to go anywhere else first. A retired seaman, Stefanutto chose the Rotterdam harbour where they spent a pleasurable hour. Kees Veldboer, the ambulance driver, went further and determined Stefanutto’s last wish was to sail – a feat the ex-seaman felt was impossible as he was on a stretcher. Veldboer, with the help of his boss and a firm that organized boat tours around the harbour was able to fulfill Stefanutto’s last wish. Weeks before his death Stefanutto wrote:"It does me good that there are still people who care about others… I can tell you from my own experience that a small gesture from someone else can have a huge impact." The experience inspired Veldboer and Ineke, a nurse and his wife, to start the Stichting Ambulance Wens - or Ambulance Wish Foundation. Since then this Foundation has fulfilled more than 7000 wishes. They have helped a dying woman visit a museum to take a final look at her favourite Rembrandt painting; they have taken a 101 year old woman for her final horse ride; they have arranged for Nadja to go back to Romania because she wanted to die with her family. The helicopter ride. Parthh Thakur, a thalassemia major (the most severe form) patient chose to help other leukemia and thalassemia patients realize their wishes. This led to the non-profit initiative known as The Wishing Factory. Harshala Kharat, a 29-year-old postgraduate with thalassemia wished for a helicopter ride and thoroughly enjoyed a memorable one. One side of the argument pointed out that the amount spent on fulfilling a few extravagant wishes can be used to improve basic facilities in underdeveloped areas and consequently prevent or at least reduce their susceptibility to preventable diseases. The counter point to this was while the argument held weight if it was made objectively, no one would endorse it from a subjective point of view – even a person who claimed it was right would change stance if placed in the position of the parent of a terminally ill child. One point of view held that with the terminally ill, quality of life mattered and Make-a-wish did a good job in enhancing this by making children happy. 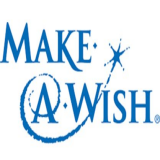 The counter point was that while Make-a-wish did grant a few moments or hours of pleasure, children in the terminally ill stage needed warmth and emotional support over a period, and this would make a subtler but stronger difference, something the foundation does not provide. Supporters feel the organization genuinely makes a difference while those on the other side feel it gets disproportionate publicity for the amount of impact it makes. Who are the most famous wish granters? John Cena, a professional wrestler, rapper, actor and reality TV host has earned excellence across several fields. As a wrestler he has won 24 WWE championships and is currently the highest paid wrestler. He has also participated in numerous philanthropic measures and holds the record for highest number of wishes granted by an individual, with over 500 wishes. Michael Jordan, considered to be the greatest basketball player of all time, is also larger than life to the many wish kids who have wished to meet him. Jordan has granted more than 200 wishes so far. 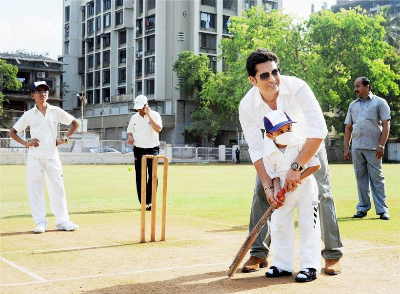 Interestingly, most of the kids he met were born after he retired from professional sports. Justin Bieber, the singer and songwriter, is one of the world’s best-selling music artists and featured four times in Forbes list of top ten most powerful celebrities. He has granted over 250 wishes. How do such organizations work? With children imagination and dreams soar without restraint. There is a higher chance for them to be disappointed if they make the wish and then learn it cannot be fulfilled. Therefore, different organizations fulfilling end-of-life wishes have their own set of guidelines. Wishes requiring weapons are usually not allowed. Some organizations specify explicitly what they will not consider - "motorized vehicles, hunting trips, in-ground pools or in-ground hot tubs or international travel due to liability." Organizations typically require the consent of the doctor of the child who makes the wish before they process the request further. 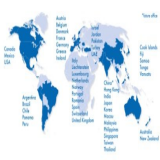 The difference in guidelines has fostered an inter-connected network of these organizations.When one organization finds a wish beyond its scope, it may recommend the wisher to another organization working on the same cause. Organizations also handle the indecisiveness of the child differently. 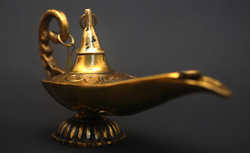 Some ask for a list of three wishes, others scrutinize the situation and set up a back-and-forth process.